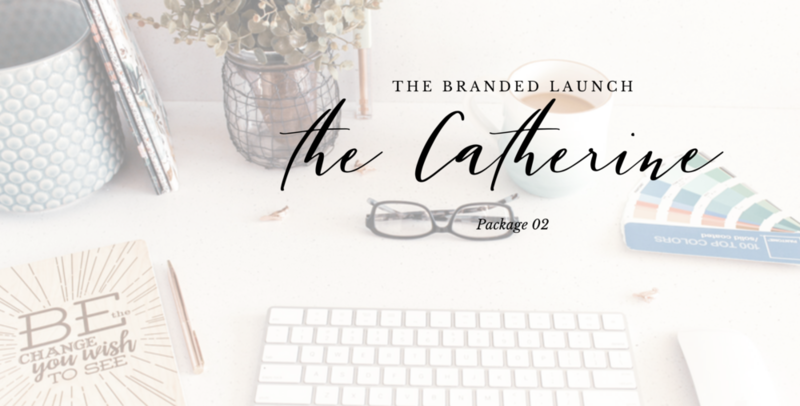 The Catherine — Sweet Blue Bird Design Co. Your vision for your next launch is so real that you can taste it, but branding design and crafting a launch strategy calls for a biz bestie, slash expert. Lucky for you my own vision board cut outs for my next website and course launch, are still laid out on my Kirkland’s, farmhouse style side table, here in my office! You don’t need all of the bells and whistles that the Julia offers, but the Catherine, just like my middle daughter, is the perfect middle-of-the-road package. Can you say “peacemaker”?